Councilman Lancman’s messages were understandable, given the violence that is currently taking place in Israel. Young Palestinians, at the behest of Hamas and Palestinian Islamic Jihad (PIJ), have been targeting Jews with death, via stabbings and shootings. Calls for a Third Intifada (uprising) have been ringing out. Sarsour and Aboushi’s tweets do zero to calm the situation. Indeed, they can only lead to more violence and deaths – and on both sides. 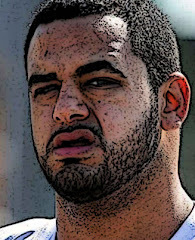 Aboushi’s callousness towards life and his bigoted disregard for the truth should elicit a concerned reaction from the NFL and his team, but his involvement with a terrorist organization should have him not only out of the NFL, but shunned from society. ICNA or the Islamic Circle of North America is the US affiliate of South Asian Islamist group Jamaat-e-Islami. Jamaat-e-Islami’s militant wing, Hizbul Mujahideen, owned the Pakistani compound where Osama bin Laden was killed. ICNA has been linked to terrorist financing and has used the web to promote different terrorist groups, including Hamas, al-Qaeda, Hezbollah and the Taliban. Some very controversial individuals participated at the 2013 ICNA-MAS convention. One was Siraj Wahhaj, the imam of the Brooklyn, New York-based At-Taqwa Mosque, who, in 1995, was named by the US government an “unindicted co-conspirator” for the 1993 World Trade Center bombing. Wahhaj had been linked to the bombmaker of the attack, Clement Rodney Hampton-El. Another speaker was Jamal Badawi, who was named an “unindicted co-conspirator” in two federal Hamas financing trials and whose book, Gender Equity in Islam, justifies wife beating. In February 2014, Aboushi not only attended a MAS event, but he was the featured speaker at it. The title of his speech was ‘The Easy Way vs the Right Way,’ and it took place at the MAS youth center in Brooklyn, where Aboushi was born and raised. According to a MAS advertisement of the event, which contains a large banner of Aboushi in his former team uniform, Aboushi was to discuss “the real issues in our community and how to tackle them,” including issues related to drugs. How ironic that Aboushi would later, in August 2015, be suspended for violating the NFL’s policy on use of illegal substances, while he was with the Jets. This is the third year of Oday Aboushi’s football career, and the NFL and Houston Texans must decide if they are going to continue to ignore his radical off-the-field behavior beyond suspending him one game for smoking marijuana. His actions are unbecoming of and antithetical to the values of the NFL, and if the NFL refuses to address this issue, it can only be viewed as a tacit endorsement of bigotry, terror and violence. If you wish to discuss this information, you can contact Brian McCarthy (NFL Press Contact) by calling 212-450-2069. Please be respectful with any and all communications with these individuals and the organizations they represent. Where is Mossad when you need them? More importantly, is he using properly inflated balls? Heh.